A silent retreat is a special time to break from the usual activities of life, a time to reflect and to ask oneself: How is life going? Where is my life headed? Where is God in all this? It is a time to assess the present and make resolutions for the future, and to discern how to apply those resolutions in a practical way to one’s daily life. Weekend retreats offer daily Mass, time for personal prayer, reflections and talks on central themes related to living a Christian life within the specific circumstances of our life. There are times for confession and personal spiritual direction. 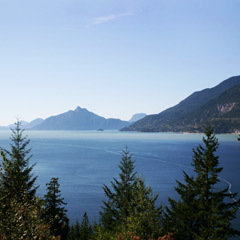 Retreats are now being managed by Copper Ridge Conference Centre. If you wish to make a reservation for a high school or university student retreat, please contact us directly.